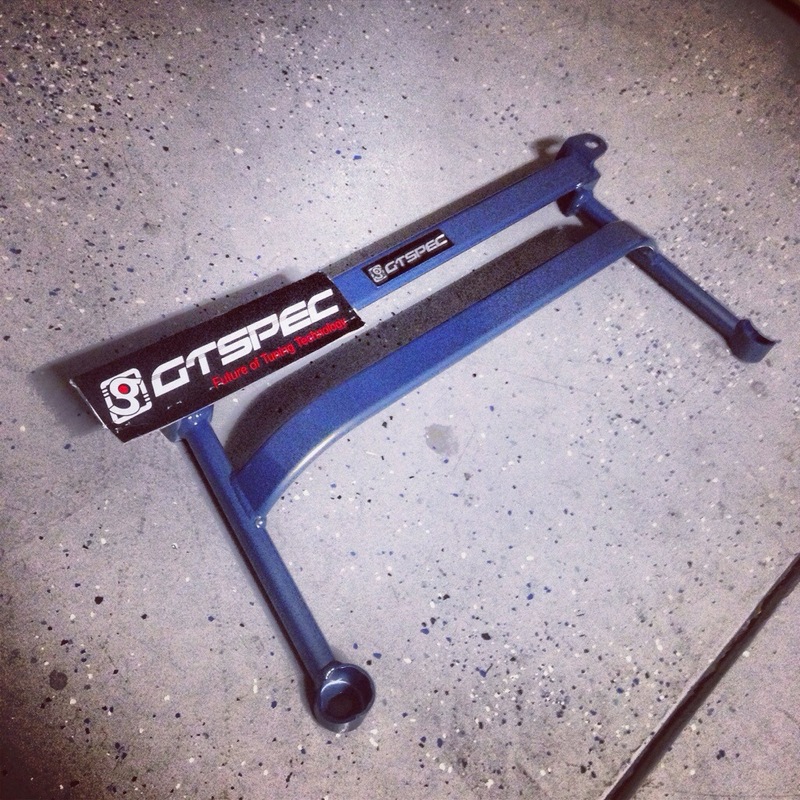 GTSPEC offers you their reinforced trailing arm set to help you complete your aftermarket upgrade arm set out back. The GTSPEC trailing arm has a beefy look and feel to it with inspires hard used and maybe an off road excursion or two. As you can see the mounting point to the knuckle on the OEM comes straight out leaving the stress point during heavy braking on the knuckles and front mounting points. The Upgraded bushing will reduce suspension slow and keep your alignment truer; this is one of the best features of the trailing arm. The pillow ball bushing allows for free range of movement hence getting rid of the standard bushings bind. The signature GTSPEC powder coating will keep the arms looking good while the sturdy construction will help you lay down big power for years to come. 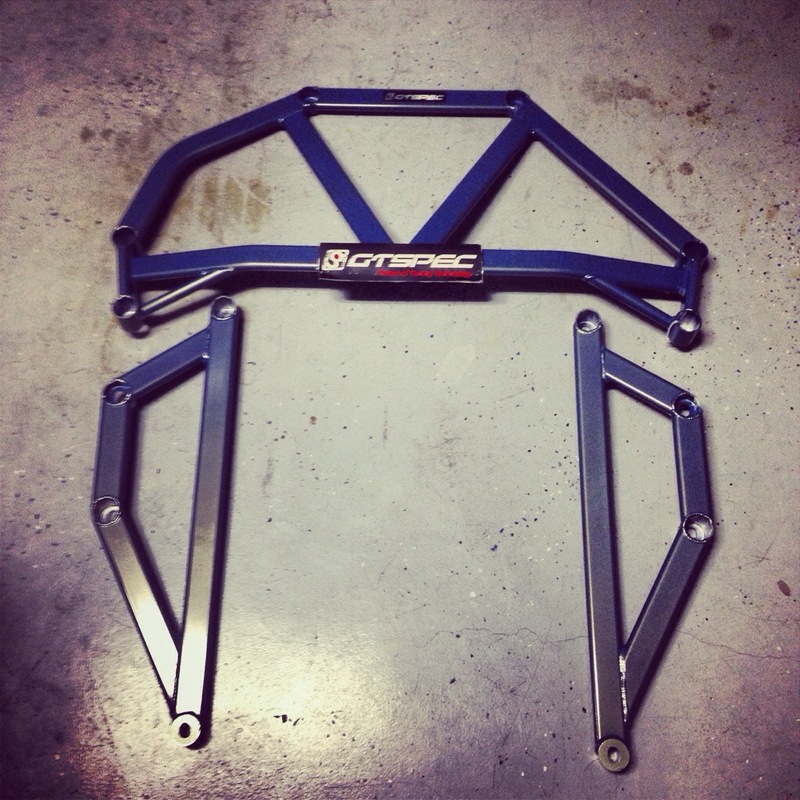 This is the GTSPEC 3 piece subframe reinforcement brace. They are constructed by the same aircraft grade 6061/6063 vacuumed out aluminum with hallow triple wall design that is used in all GTSPEC suspension products. The result is incredible rigidity and a total weight saving of 6 kg/13.25 lb (half the weight of a stock Subaru Impreza). A nice feature is that all new hardware is included in the kit so you don’t have to cut existing or go find other bolts to bolt it up. 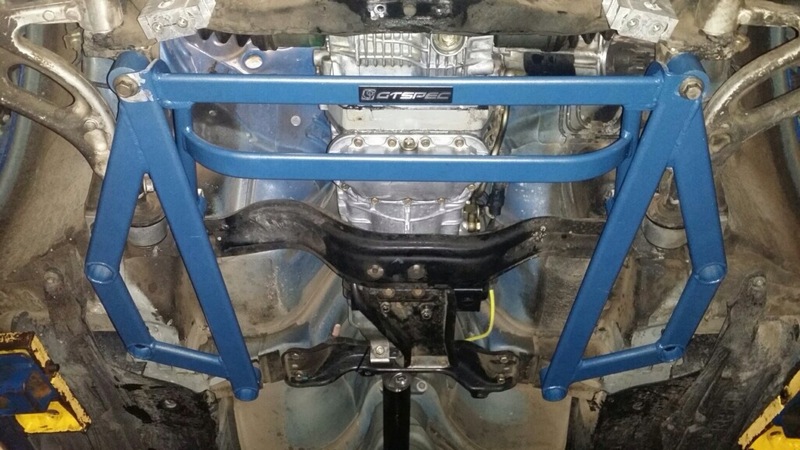 The GTSPEC 4 point Front Ladder Bar goes perfect with the GTSPEC subframe brace (as expected). 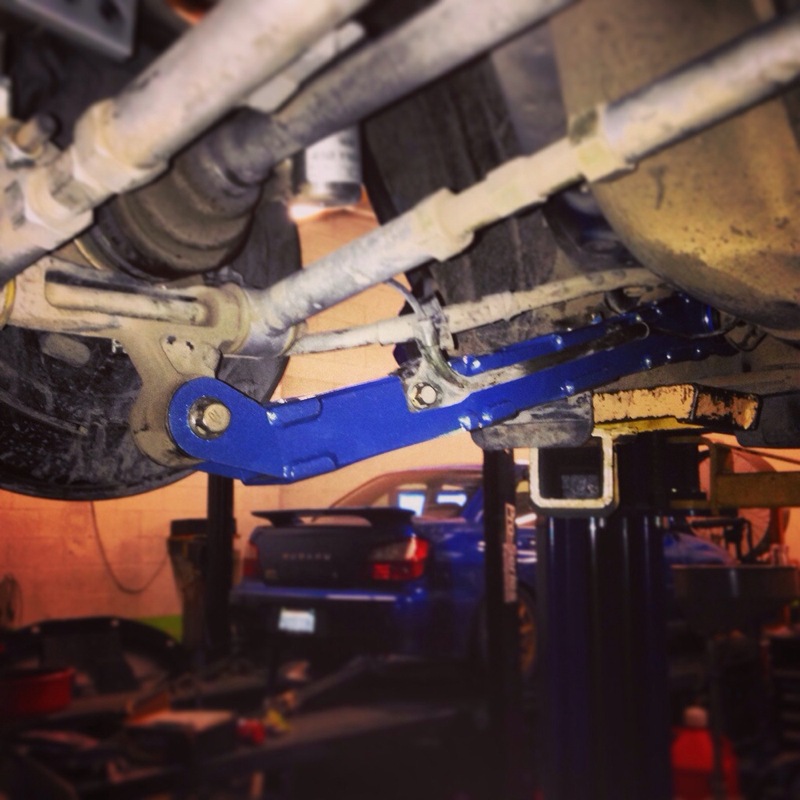 This four point undercarriage brace reinforcing the connection between the control arms and chassis, improves road handling and structural integrity. This entry was posted in Product Reviews and tagged bracing, GTSPEC, suspension. Bookmark the permalink.